I'm back! If you've been following my social medias, I've travelled to Ipoh and Cameron for the past few days, having tons of fun, laughter, selfies and of course food too! 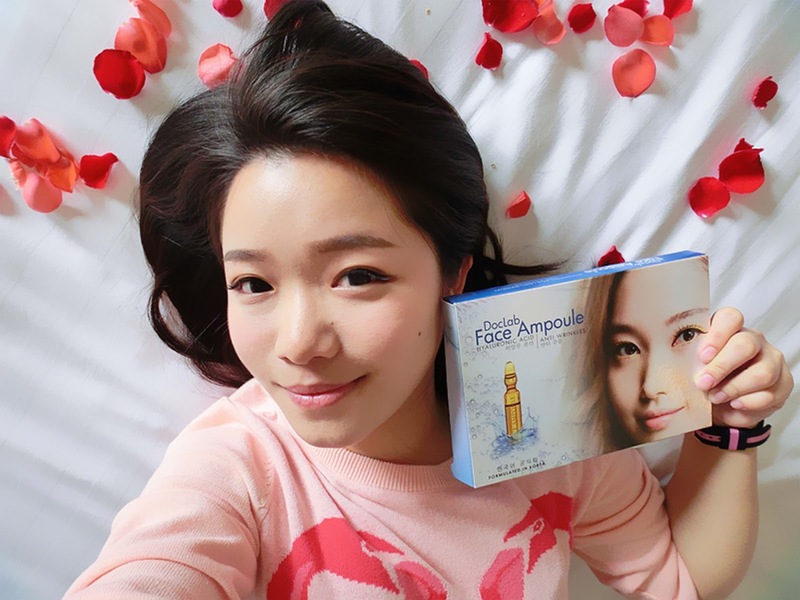 During my trip, I was so glad to bring along the DocLab Face Ampoule which instantly boost my skin moisture level and hence it was easier for me to apply make up, while keeping my make up lasted for whole day! Selfie-lasting-makeup! So, before we start with the product. Here's some facts about Ampoules. 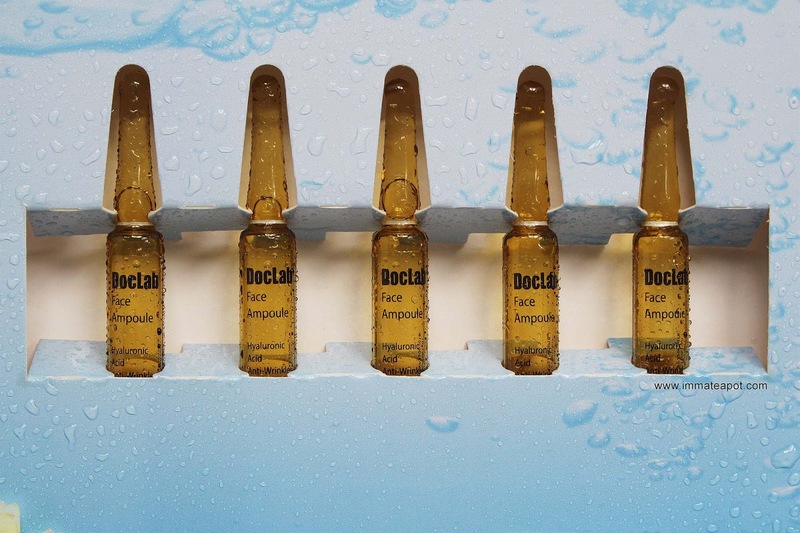 Ampoules is a dropper-type and air-tight bottles which consist of potent, highly concentrated and finest active ingredients, like vitamins and enzymes without any preservatives or chemicals. Ampoules is different from serum as it contains more condensed ingredients and smaller size particles which are small enough to deeply penetrate into the skin, for targeted skincare issues. The lifespan of ampoules is shorter once the bottle is opened as it doesn't consist any preservatives. After getting some basic knowledge about Ampoules, Jeng Jeng! Here's the Ampoule that I was mentioning. 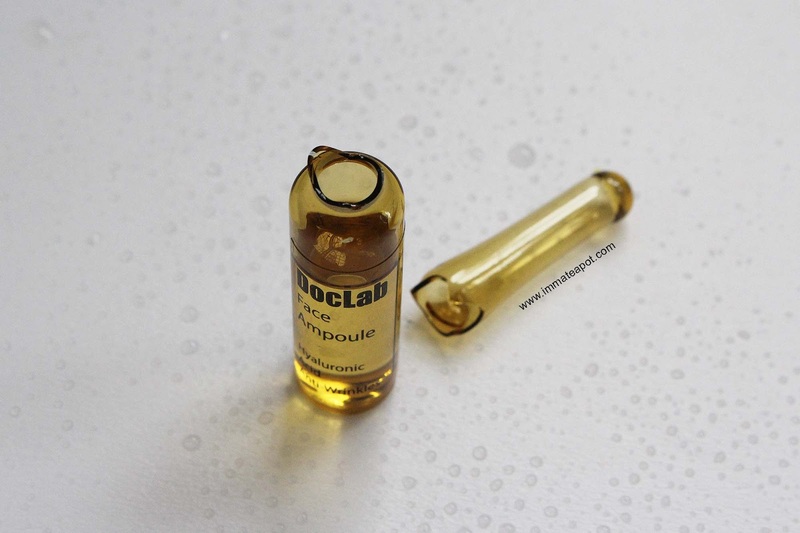 Hyaluronic Acid Face Ampoules from DocLab. It is a brand from Korea with the mission of serving the premium quality beauty products with affordable price, DocLab aims to keep the latest beauty trend from Korea affordable in lowest cost for all women around the world. 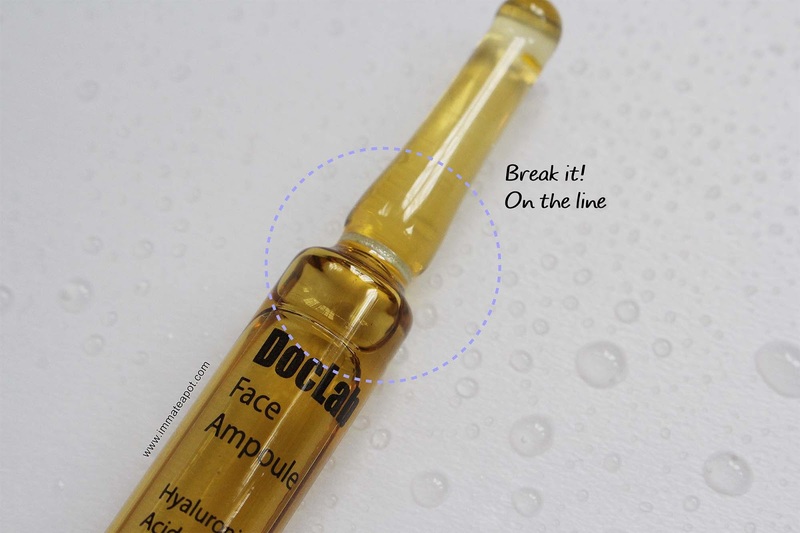 DocLab Hyaluronic Acid face Ampoule comes in a box of rectangle, with 5 bottles in each box. 2ml (0.06 FL.oz) per bottle. Perfectly arranged and easy to carry for travel purpose. This ampoules mainly focus on hyaluronic acid and anti-wrinkles formula, which are a boost to prevent sign of aging. Hyaluronic acid moistures and nourishes the skin dermal layers, reboost hydration while diminish fine lines and adding natural skin glow. To prevent the formation of wrinkles, restoring skin collagen is a must! This ampoules helps smoothen and tighten our skin. The main ingredients will be ginseng extract and collagen extract. Apart from various health benefits, ginseng extract contains anti-aging properties, improving skin complexion, tone the skin, reducing dark spots, increase collagen formation within skin cells and promote skin metabolism. Ginseng is much effective as it is quick-absorbed by the skin. Collagen restores skin suppleness and elasticity while retexturize the skin. In addition, it's free from paraben, alcohol, silicone and animal ingredients. The application is really easy! Step 2: Break the bottle into half according to the silver line. Step 3: Pour the essence on palm. Gently smooth thorough the face and neck. Massage your face until the essence is fully absorbed. You may use a facial machine for better penetration. *Each bottle should be finished within a day once it's opened. The texture of the essence is just watery, dilute and scentless, crystal clear, just like water. 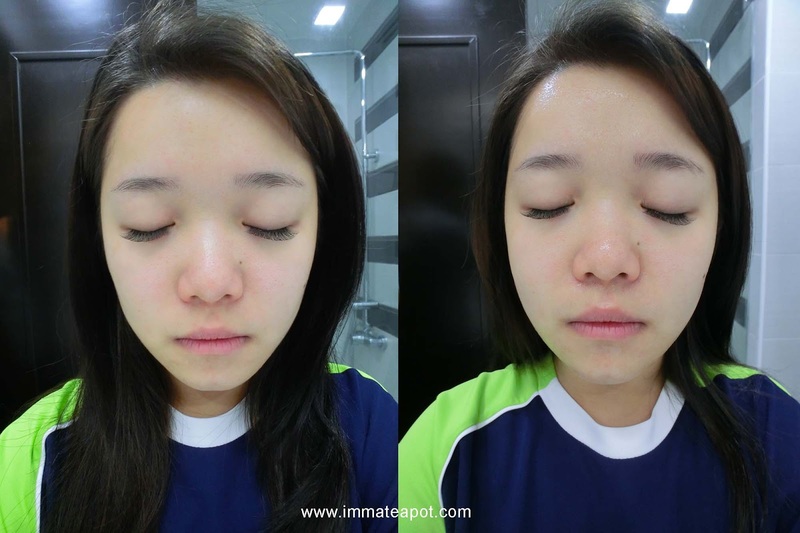 Here's the picture before and after the application. Before application, my skin is dry and dull. After application, my skin glows with health and much supple. I really love this Face Ampoules as I always prefer skincare products which is fragrance-free and colorless. Besides, surprisingly the essence penetrates rapidly into my skin, leaving my skin oil-free and stickiness-free! It's like your own skin, supple and glowy, without any layer topping on it. So lightweight and the feeling is superb! It's great to restore instant hydration to the skin, especially before applying makeup, it keeps the makeup lasting and glow naturally. Oops! It's time for GIVEAWAY! Fill in the Rafflecopter entries below! * Contest opens to Malaysian Resident only. * Only ONE winner will be randomly selected. 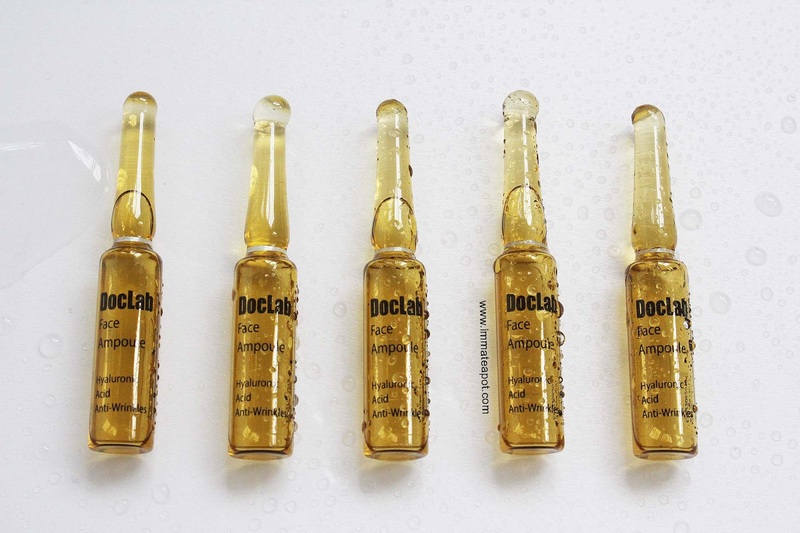 * ONE Winner will win ONE box of DocLab face ampoules only. * Participants must filled in all Rafflecopter entries. I really like how you can see the instant effects from the face ampoule!!! I've only just started using serums and they are amazing as well! Collagen and Panax Ginseng Root Extract. 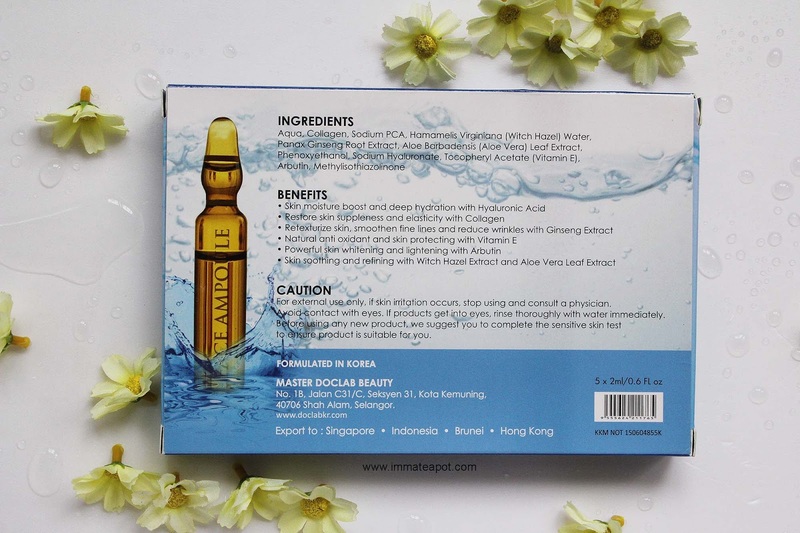 The two ingredients in DocLab Ampoule are Collagen and Panax Ginseng Root Extract. 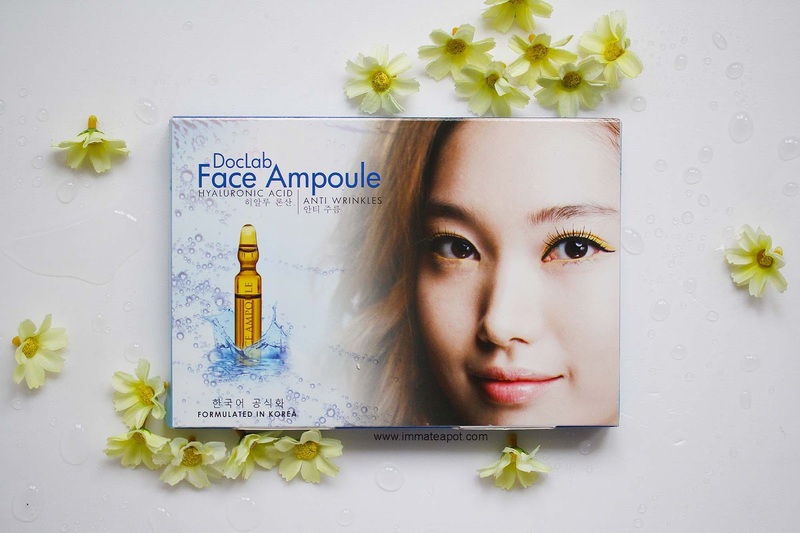 Two ingredients in DocLab Ampoule are ginseng extract and collagen extract. Hey dear Amelie thanks for having the giveaway for all the ladies. 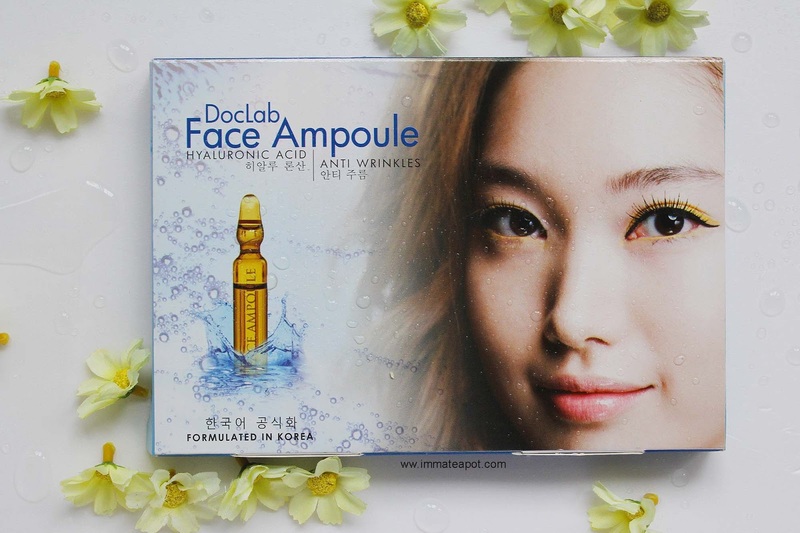 The 2 ingredients in DocLab Ampoule is ginseng extract and collagen extract. The two ingredients are Ginseng Extract and Collagen Extract!